Cleated sole boot and PVC upper made with elastic material with plenty of give for comfort. 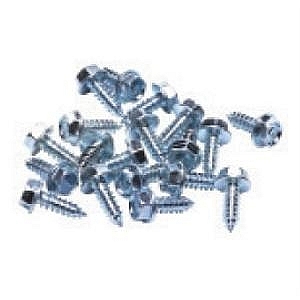 210D nylon outer to resist thorns and abrasions with an inner PVC coating.Sizes 5-15.Fuller body options available. 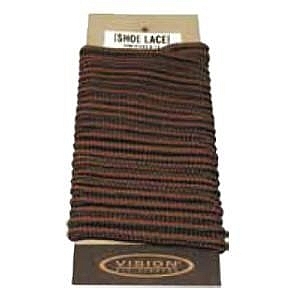 Available in Cleated Sole or Combi Felt Sole. 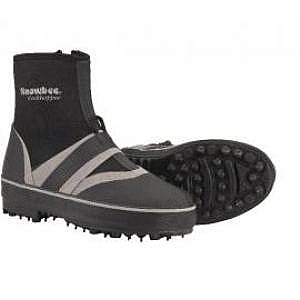 All new heavy duty,moulded PVC boot - Neoprene lined for warmth and comfort. Unique 3-part kneepads - double layer Neoprene,plus 2-piece resin impregnated knee pad which is puncture and chafe resistant and allows flexibility for greater kneeling comfort. Additional front hand-warmer pocket. 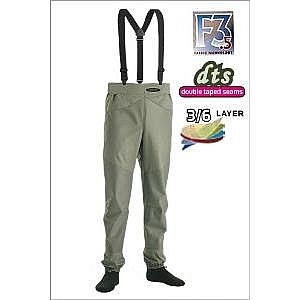 Stocking foot trouser-style waders with braces. 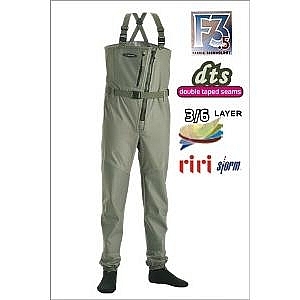 Stocking foot with bib & brace. 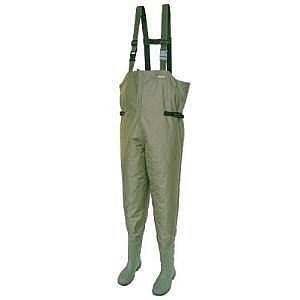 Stocking foot waders with zip front,belt and braces. 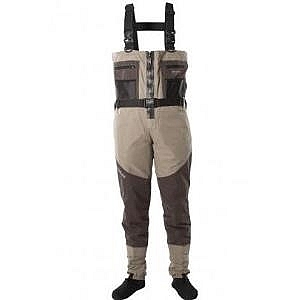 The breatables waders features adjustable braces,clips & pockets and also has a boot foot and is treated with a DWR coating. 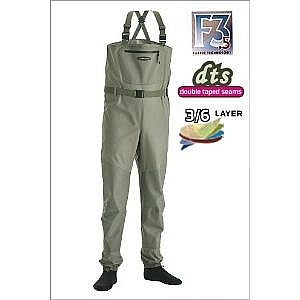 The Rockhopper Wading Boots originated in Japan for Rock fishing, where good grip is essential. 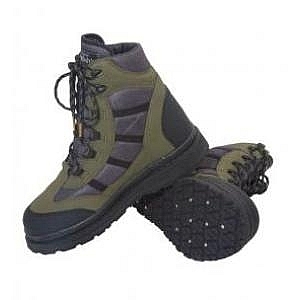 Fitted with the unique Spike Sole, these boots offer the ultimate grip on any surface - particulary weed covered rocks, where other soles fail. The flexible, hardened stell spikes cut down through the weed, to grip the rock below and will even grip in icy conditions. 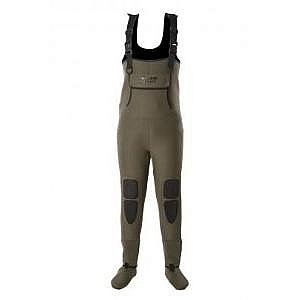 Neoprene uppers with a side zip closure they are equally suitable for `wet wading` in the summer months or overseas. 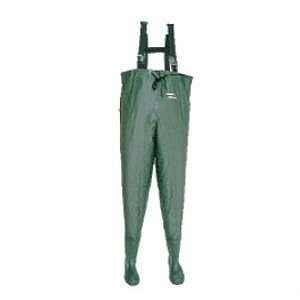 NB: For use over stockingfoot waders it`s recommended to go up a foot size. 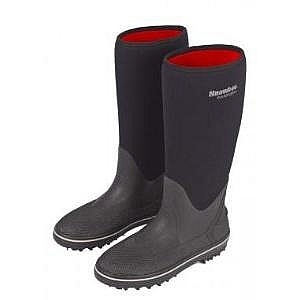 A hand laminated rubber boot, bonded to a neoprene lining and upper, for the ultimate in warmth and comfort. 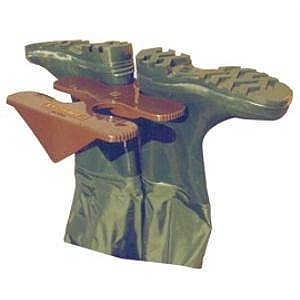 Add the famous `Spike-Sole` and you have the ultimate boot for any occasion where deep wading is not required. The spike sole consists of hardened steel spikes, set between deep rubber `cleats` so they are able to `flex`, which is what gives them their outstanding grip. 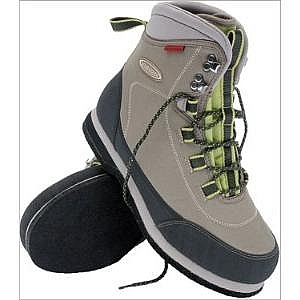 The XS-Pro boot has a polyester upper with heel & toe reinforcement. Xtra-grip studded soles. Vibram sole with studs.Reinforced heel and toe. 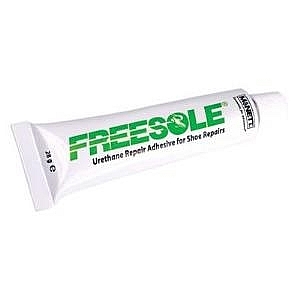 The felt sole repair kit includes replacement soles,adhesive & instructions. 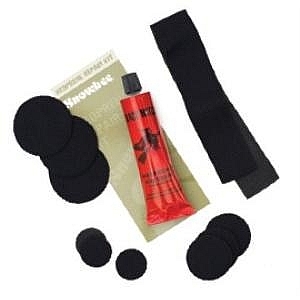 The industry standard for maximum strength repairs to neoprene and breathable fabrics.Flexible urethane formula waterproofs,seals and protects against abrasion. 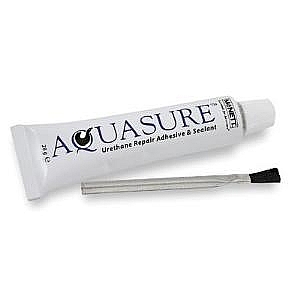 Flexible urethane waterproof repair adhesive for boots,shoes,trainers and neoprene waders.